If you’re like me, sometimes you feel like you can’t keep up with recreation in Colorado. You started hiking, then you tried a mountain bike, then realized you could probably climb rocks, too. Once you climbed rocks, you thought “I bet I can also climb ice.” If you can also climb ice, you can probably combine everything into one day and end up on top of a mountain. The list goes on. We are but mere humans trying to conquer around 60,000 square miles of playable Colorado landscape. Beyond just beacon rescue, this three-day course will teach you to read terrain, plan routes and assess avalanche risk for yourself. Groups traveling in avalanche terrain need multiple people making informed decisions. For starters, you can also take a one-night avalanche awareness class. Beacon, shovel, probe: don’t ever enter avalanche terrain without these, and know how to use them before you go. After personally trying to make one pair of skis work for both resort and backcountry skiing, I recommend doing the opposite. Buy a separate setup, solely for the backcountry. It will save you money and frustration in the long run. Boots – Invest in boots with “walk mode.” Don’t make yourself miserable. I did it for too long. Don’t do it. Bindings – Buy the lightest bindings possible, but make sure they’re sturdy enough to avoid breakage. Again, don’t make yourself miserable. Choosing the right bindings can be quite complex, so read up before buying. Skis – Lighter is better, but mostly, choose a pair that you’re comfortable skiing in variable terrain– powder, crud, crust and trees. You’ll want at least 35 Liters. 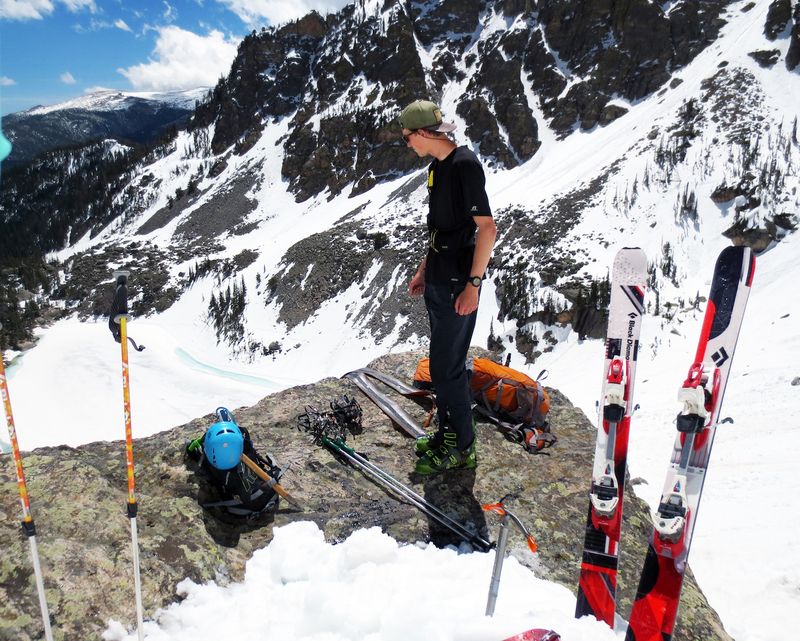 Packs made specifically for backcountry skiing are stiff and full of unique features. Make sure you get a pair that is wider than the fattest part of your ski. You will custom cut them to fit. The key here is having a system that won’t freeze. Buy an insulated cover for your water bottle or bladder hose, and bring some hot tea along, too! Use this to choose safe routes by analyzing slope angle. 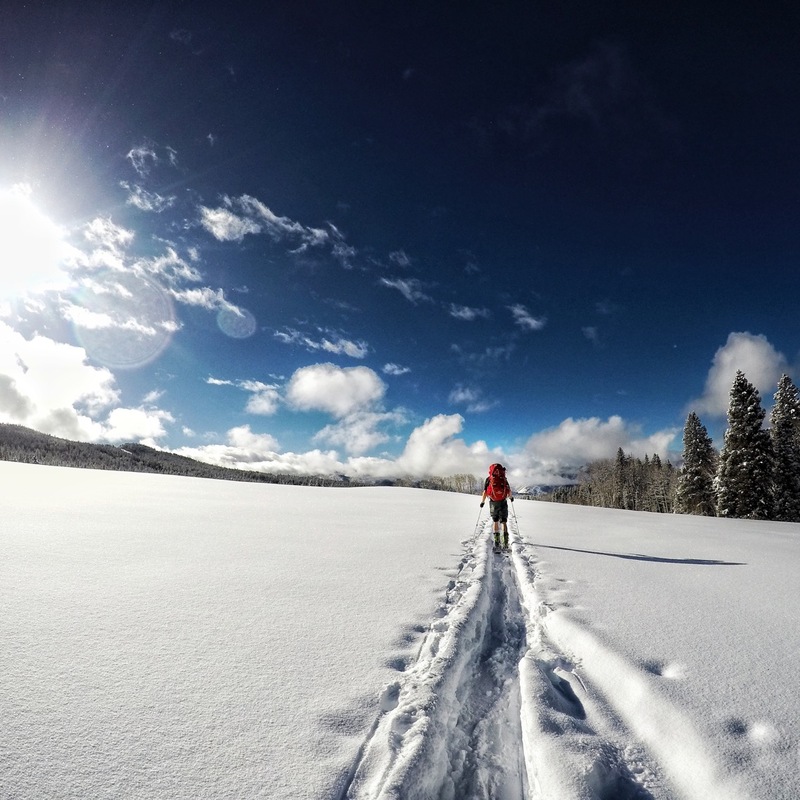 Backcountry and resort skiing require wildly different mindsets. While your ideal day at a resort might be skiing steeps on repeat, your mentality in the backcountry should be about solitude, exploration, team accomplishments and untouched snow. 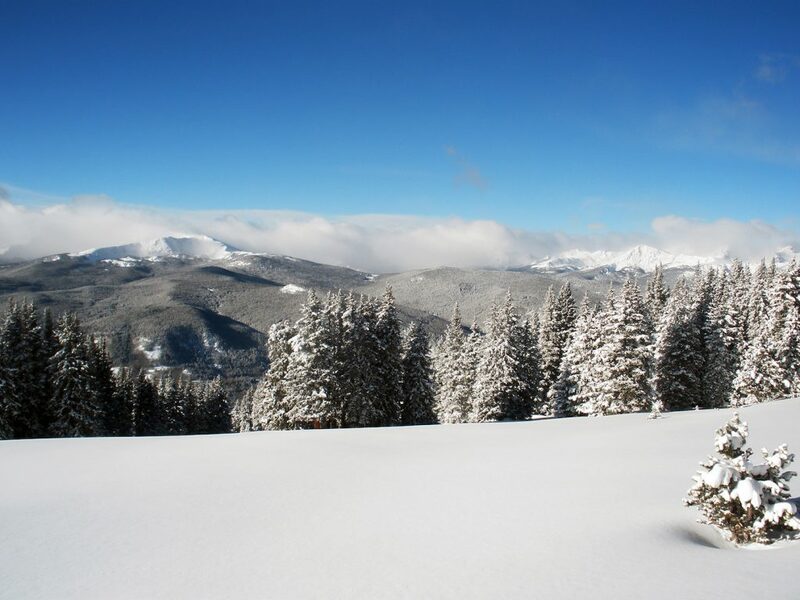 If you do decide to invest in backcountry skiing, you’ll get to be a part of one of the more magical experiences of Colorado Winter. You’ll get to see the Rockies at their most extreme, wander through the depths of silence that only a snowy landscape can bring, create unparalleled memories with new friends and build a whole new level of strength you never knew you had. Plus, hut trips become way more fun, which is the best news you’ve heard all day. Whatever you choose, stay conscious of your limits and of the undeniable and unsympathetic power of nature. Want to learn more about technical winter sports? 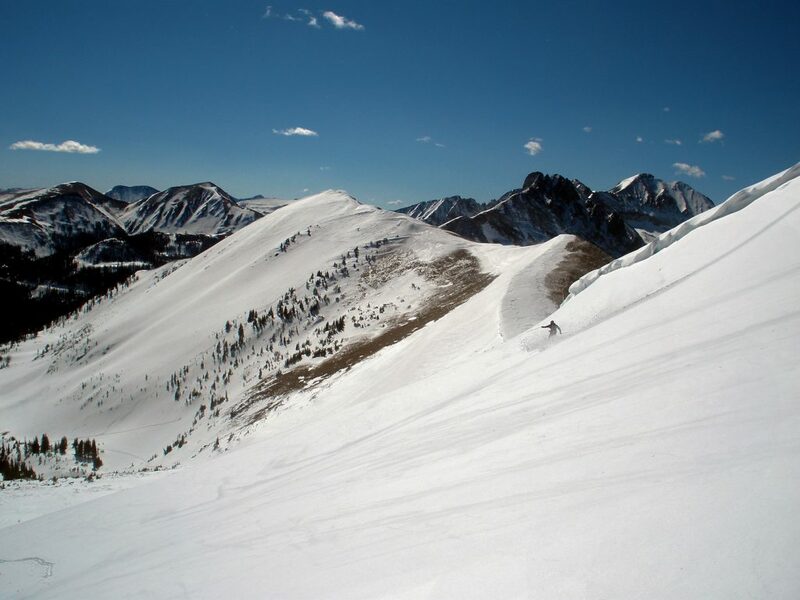 The Colorado Mountain Club offers several courses across the state that teach these skills, such as Basic Snow School, Winter Camping School, AIARE Avalanche Level I and others.